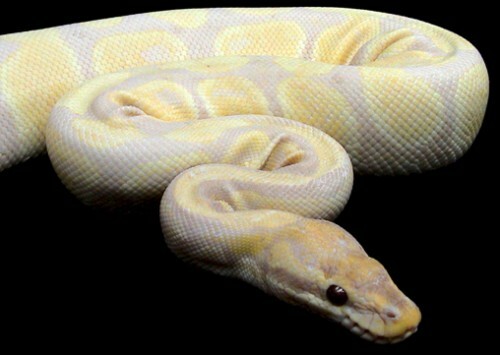 Burmese Pythons are light-coloured snakes with many brown blotches bordered in black down the back. 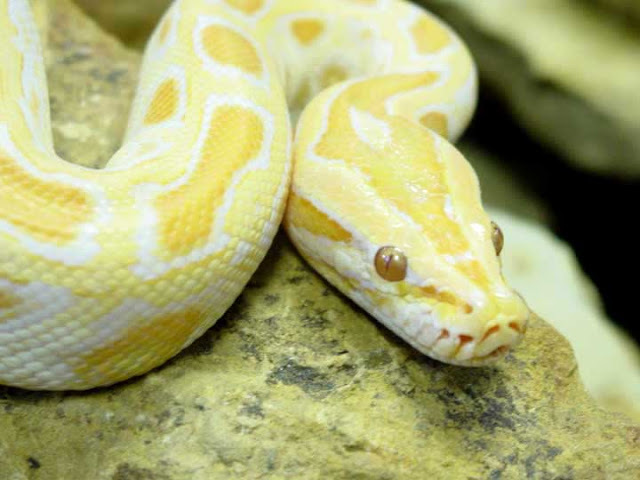 Albino Burmese Pythons are often found to be white with patterns in butterscotch yellow and burnt orange. If you have any difficulty telling which is which, ask Salma Hayek. 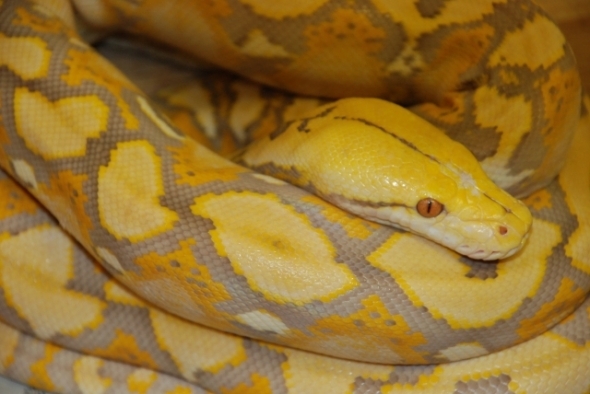 Burmese Pythons are often sold as pets - this is probably due to their attractive colours and apparently easy-going nature. However, these scaly animals have a rapid growth rate, and will often exceed 2m in length in a year if fed and cared for properly. By age 4, they will have reached their adult size, though they continue growing very slowly throughout their lives, which can be longer than 20 years. 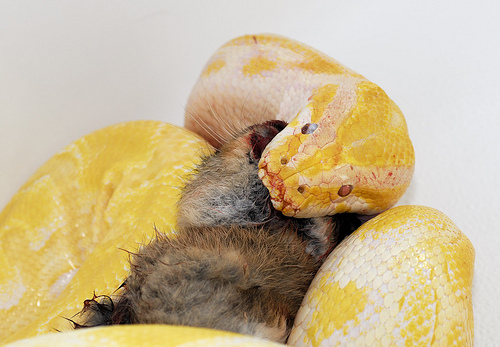 Pythons also consume large amounts of food. Apparently many owners believe if a snake acts hungry, then it should be fed baby seal. 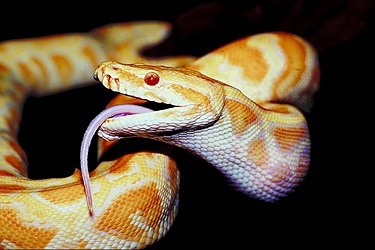 I personally don't know how a snake can act hungry other than biting or eating someone whole. 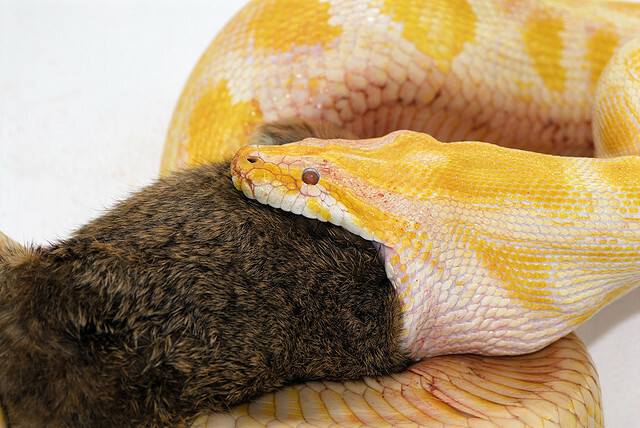 None-the-less Burmese albino pythons are opportunistic feeders, they will eat almost any time food is offered. Unwise owners may then overfeed their pets leading to obesity related problems. 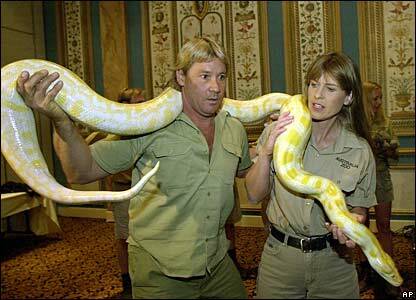 Does this snake make me look fat in this? Seriously guys, could I lose a few pounds? 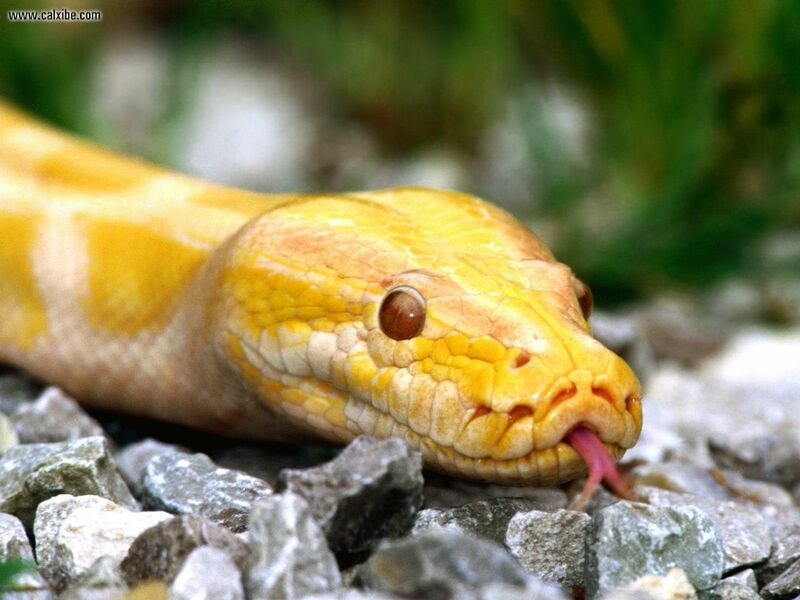 Maybe the snake should be a different colour to match my eyes? 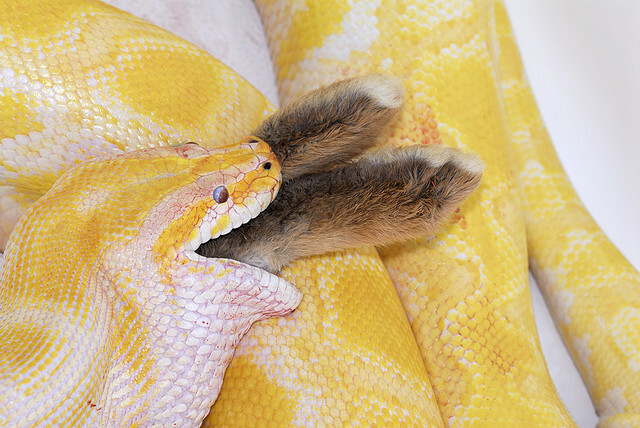 Photos 1 & 5 aren't of Burmese Pythons (1 is a ball python and 5 is a reticulated python) but funny/good article otherwise and I have to agree with you!